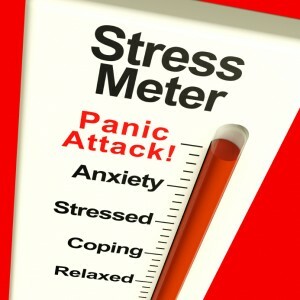 At least 6 million Americans suffer from panic attacks. They are very scary but (contrary to what you may think) they are not life-threatening. Most importantly, they can be successfully treated with long-term results…without medication or side effects. In this article (Part 2 of a series), I explain the treatment that is 80% effective for ending panic attacks, according to scientific research. I have found an even higher rate of success in my work with clients. 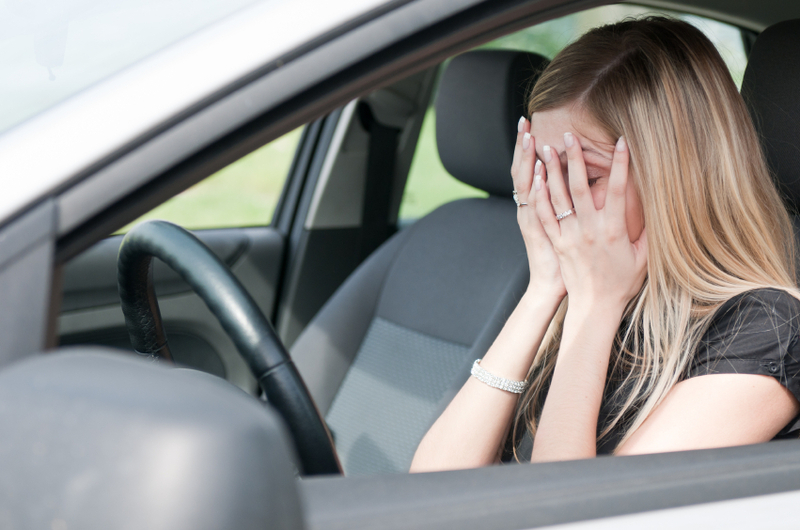 If you had a panic attack while driving on the freeway, the fight-or-flight mechanism in your brain will tell you to avoid the freeway in the future. Avoidance is the first thing everyone does in response to a panic attack. Avoidance or Distraction. But this doesn’t really work. Avoidance or distraction may decrease anxiety in the short term, but in the long term it actually makes anxiety worse. Avoiding also restricts your life and limits your options and thus, avoiding actually makes it feel MORE like you are losing control over your life. It can be helpful to imagine your panic attacks as an external enemy that is trying to control you. If the panic prevents you from doing what you want to do, then the panic wins and becomes stronger. If you can do all the things you want to do in your life, then you win and the panic becomes weaker. The Cognitive part of CBT teaches you concrete strategies to transform the fearful thoughts about panic attacks. 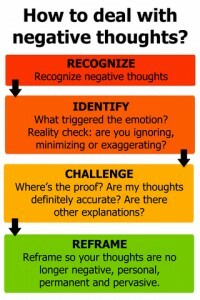 Changing your thoughts automatically changes the way you feel and, therefore, reduces anxiety and panic. You learn to change your thoughts about feared situations, and most importantly, you learn to change your thoughts about the panic itself (the anxiety about the anxiety). 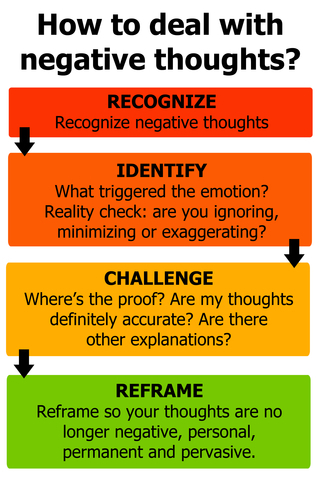 The Behavior part of CBT teaches you tool and techniques so you can face the anxiety-provoking situations instead of avoid them. You regain control. And CBT takes less time than you think. 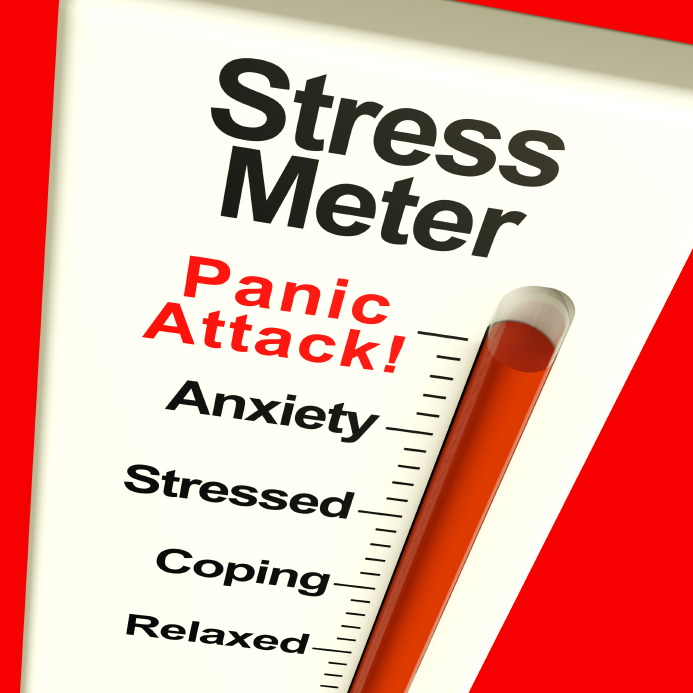 Most of my clients start to see dramatic reductions in anxiety and panic attacks within weeks. People who have panic attacks get anxiety about the anxiety because they often believe that their symptoms mean that they are having a heart attack or going crazy or losing control or that they are just plain broken or defective. This catastrophic belief is not accurate. The truth is that panic symptoms are neither dangerous nor a sign of heart problems or any other physical or psychological problem. The real problem is your catastrophic thoughts and beliefs themselves. A thought/belief like “Oh no! What if I have another panic attack and have a heart attack or go crazy” is actually an inaccurate thought. However, that thought anticipates danger (whether or not there really is danger, and there’s not) so the fight-or-flight mechanism in your brain surges into action, thereby creating more panic. Just because you think a thought does not make it true. So a key component of CBT is to teach you accurate information and teach you how to assess the accuracy of some of the scary thoughts. You learn to shift catastrophic thoughts into accurate ones – the truth is a lot less scary than your catastrophic thoughts. CBT provides long-term benefits because it is essentially a learning program. You learn specific strategies, tools and techniques for reducing anxiety and panic. Neuroscience research on CBT is so amazing. It shows that through practice and repetition, the new tools help literally change the neural pathways in your brain that were connected to the panic. New ways of thinking about and responding to panic feelings/situations become a natural part of the way you respond to life on an ongoing basis. You literally change the way your brain is wired to think. Finally, you can take charge of your thoughts. CBT for panic attacks is most successful for those with motivation to learn new tools and techniques, willingness to question inaccurate beliefs and learn new information, and willingness to practice doing things differently. The payoff is huge: regaining a sense of control over your thoughts, your body, and your life. Why Does CBT Work (for Anxiety and More)? Is Anxiety A Chemical Imbalance?